Dazzling! 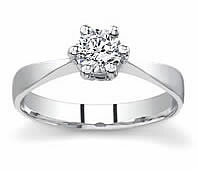 This 14k white gold six-prong engagement ring features slightly tapered shanks to draw attention to the sparkling center stone of your choice. 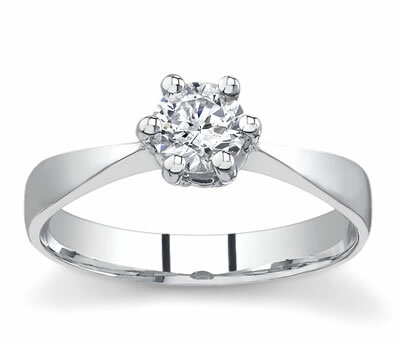 The six-prong basket setting allows you to fully view the center diamond in a unique and modern way!